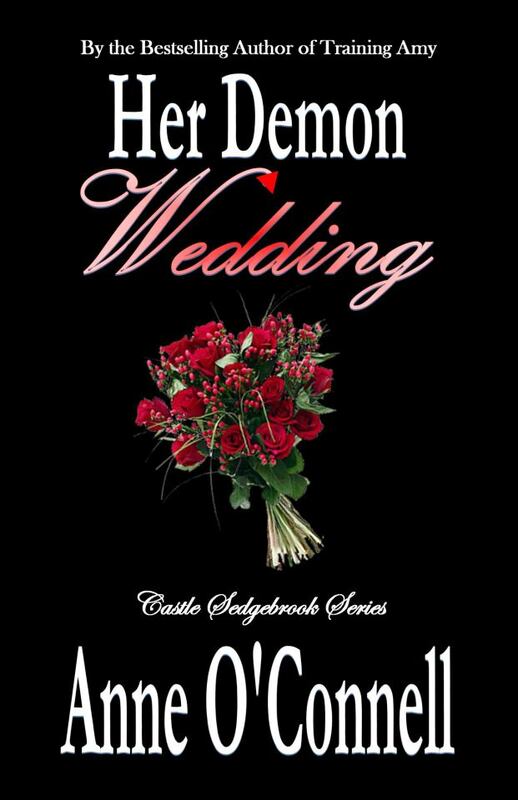 Her Demon Wedding by Anne O’Connell is now available. 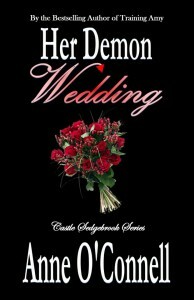 A year after her D/s relationship with a demon began, Lori Penhall finds herself overwhelmed with family and wedding plans. When more secrets about her demon lover Michael are revealed, and Lori’s ex shows up, Lori’s formal human-wedding takes a turn for the worse. Between a demon father-in-law and other surprises, will Lori and Michael make it to the big day? Or will a dark family secret tear them apart forever? Note: This is Book 2 in the Castle Sedgebrook series. To get information on Her Demon Lover (Book One) CLICK HERE. This entry was posted in Anne O'Connell, book news, book tour, books, erotica, kindle, reading by Steph. Bookmark the permalink.